Perfect for now, especially perfect for Valentine's Day! This plaid graphic is so love-ly. Not too Valentine-ish, it's easy to style with a pair of leggings or denim. 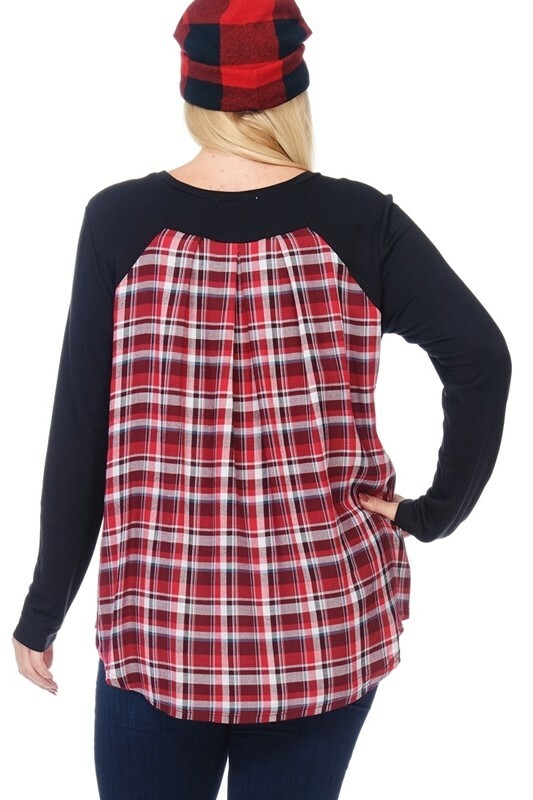 Unique plaid back panel makes it fun and flowy, super soft comfortable fabric with stretch. This is not clingy material, looks good on most body types. 95% French Terry Rayon, 5% Spandex.